L'Acadie established by France in 1604, was a strategically located and highly coveted colony. In 1713 it was handed over to England and renamed Nova Scotia. 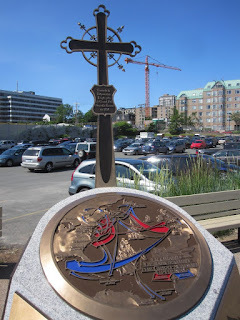 The foundation of Halifax, in 1749, led part of the Acadian population to move to French territory. The remaining Acadians were perceived as a threat, and in 1755, the British authorities launched their systematic deportation, splitting up families and communities, seizing all lands and possessions. 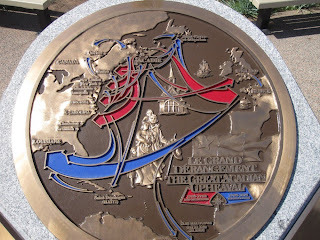 This was the Grand Derangement or Great Upheaval. Nearly 10 000 men, women, and children were piled into ships and deported to the Anglo-American colonies, to England and to France. Others escaped the deportations, seeking refuge in French territory and forming a resistance. Over the next 10 years, over half of the Acadian nation was lost at sea, or died from disease and famine. 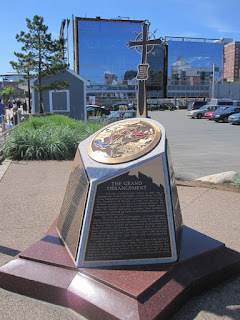 By 1765, after they were allowed to return to scattered communities the previous year, a mere 1 600 survivors remained in Nova Scotia, their fertile land now occupied by settlers from other areas.